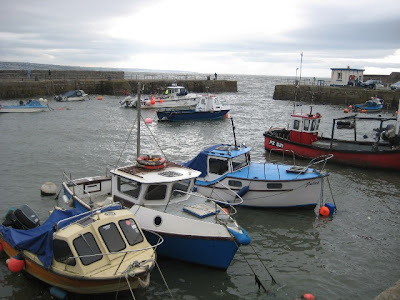 Wissy's blogspot: Porthcawl - a Welsh seaside town. 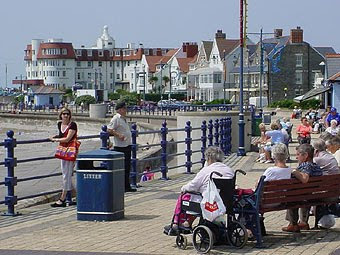 During my recent trip to South Wales we stayed with friends just outside Porthcawl and visited the town several tim es. Porthcawl developed as a port for coal exports during the 19th century, but it's trade was taken over by the more rapidly developing ports of nearby Barry and Port Talbot. However, despite this decline Porthcawl re-emerged as a very popular sea-side resort particularly favoured by the coal miners and their families from the Welsh coalfields. However, as with many resorts Porthcawl has suffered a decline in its holiday trade over recen t years, especially since most of the south Wales Valleys coal pits have now closed. So Porthcawl is having to adapt to survive. 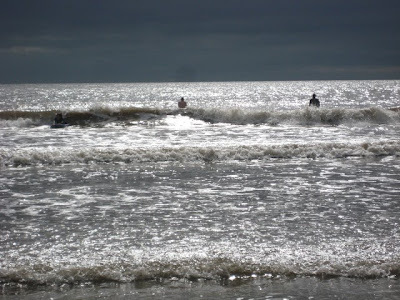 Today the town boasts a lovely promenade with views over the Bristol Channel and several nice beaches one of which we sampled, being encouraged by our friends to do a bit of body boarding in the surf. 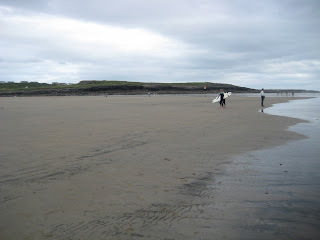 This was something I had never tried before, but thoroughly enjoyed, even if the sea was a might cold! 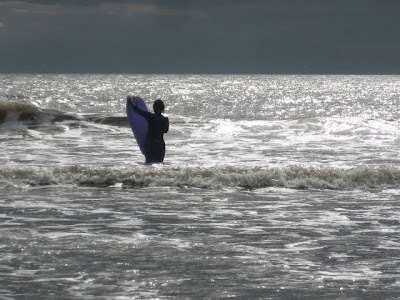 I just adore the subtle light in this image of my wife in the surf. Catching the waves. Three of us in the sea at Porthcawl. Boats of many colours. The small harbour. Jennie looks about 18 in that picture.